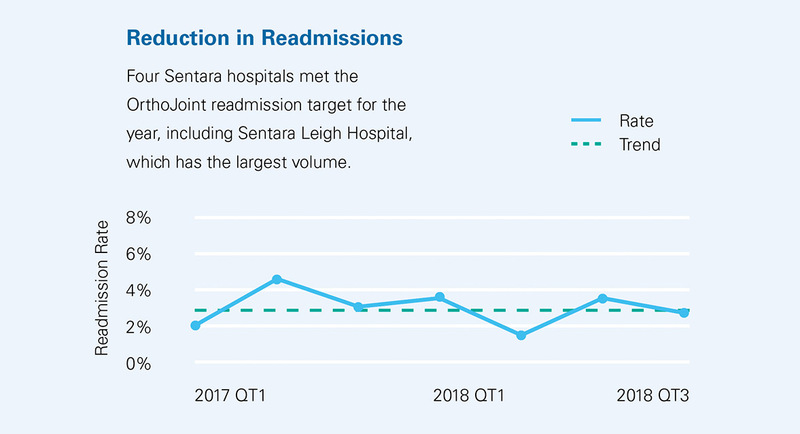 At Sentara, our commitment to clinical quality and safety, customer centricity and growth and innovation is evident in the level of patient care we deliver in our communities. It is distinctive as we challenge ourselves to be the best. We strive for excellence, promote teamwork and collaboration, and actively pursue and adopt the latest care techniques and technologies. Our mission depends on the care we deliver, so we measure outcomes in as many ways as possible — often beyond what is mandated. 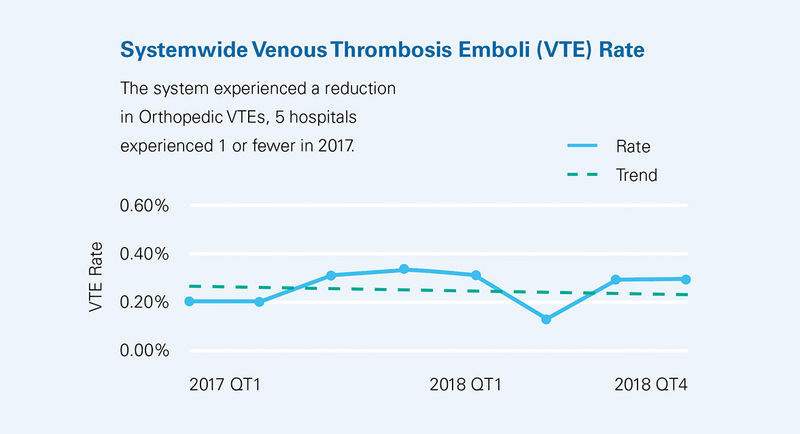 We share the resulting data with physicians and other providers across our system, not only to regularly review our performance but also to learn, grow and innovate. Physicians throughout the regions work with clinical and operational leaders at Sentara to identify and evaluate the best protocols. 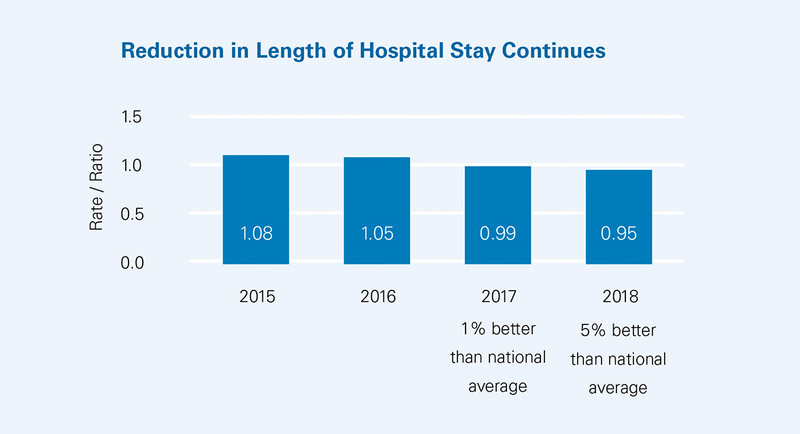 With an eye toward consistency across the system, they implement those improvements that are backed by data and meet or exceed national standards and show an improvement for patient outcomes. The Ortho HPT tracks goals and measurements across our system, to improve quality in a consistent and coordinated manner. We share information with the orthopedic providers in our communities, so they can compare their performance to their peers. 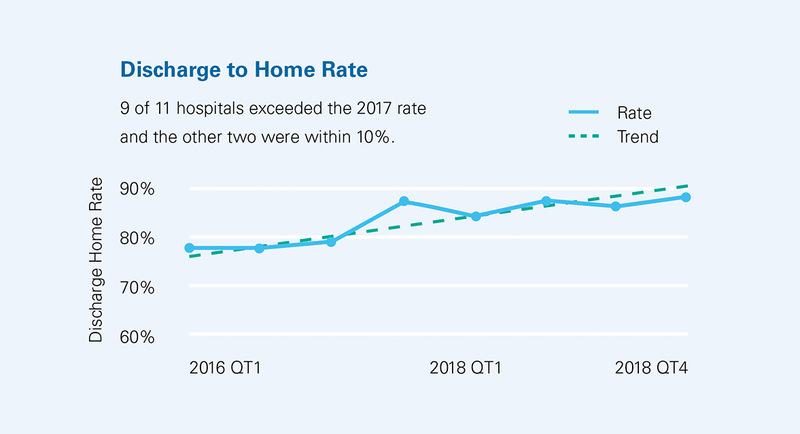 A shared goal of helping patients heal faster with better protocols and discharging them home when ready has led to fewer hospital readmissions. It also celebrates the surgeons and team members each month for their excellent work in the local and national field of orthopedics.